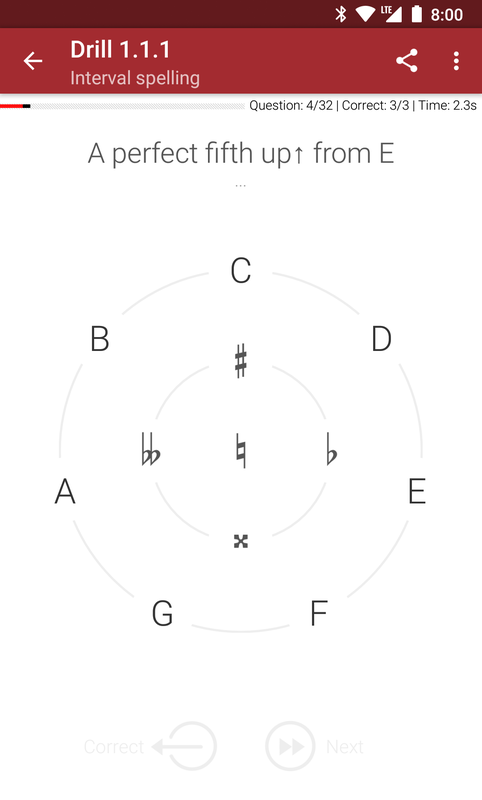 Improve your aural skills and your music theory knowledge to better your life as a musician, be it regarding improvisation, composition, arrangement, interpretation, singing, or playing in a band. 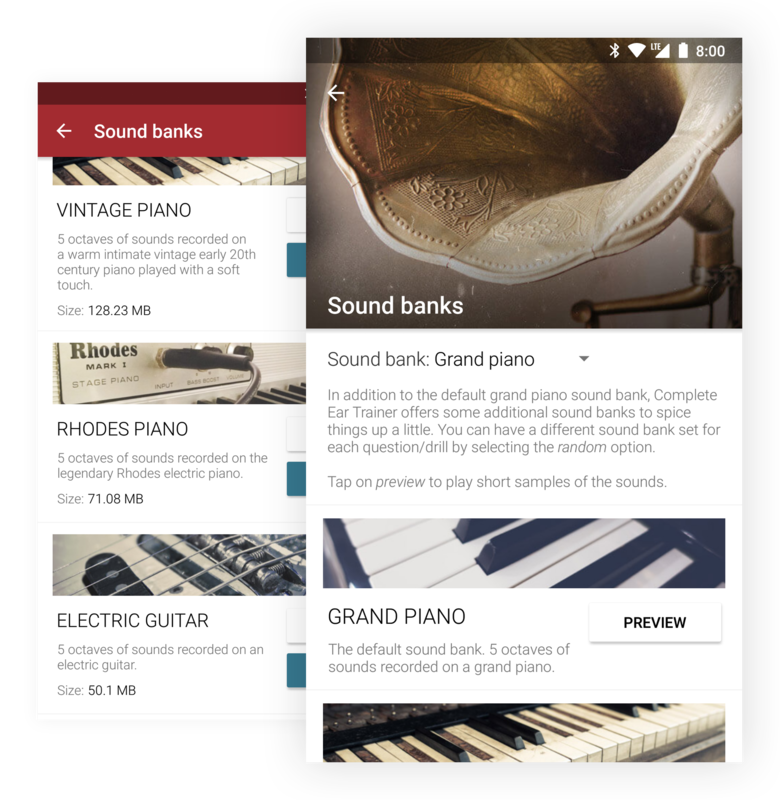 – Joe Hindy, Android Authority. 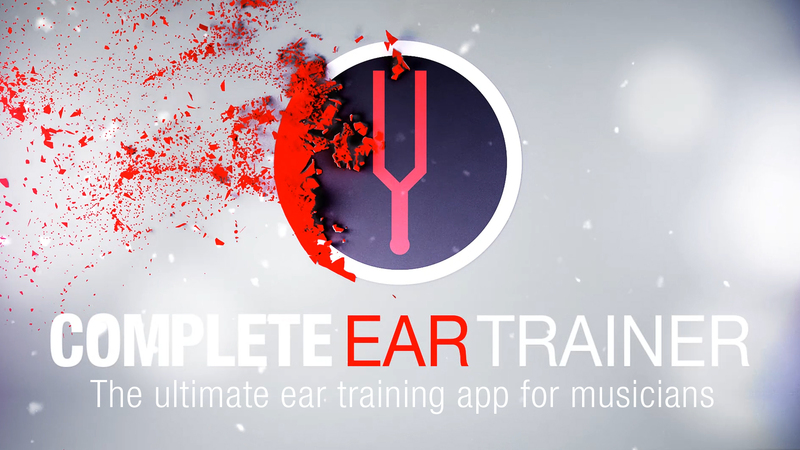 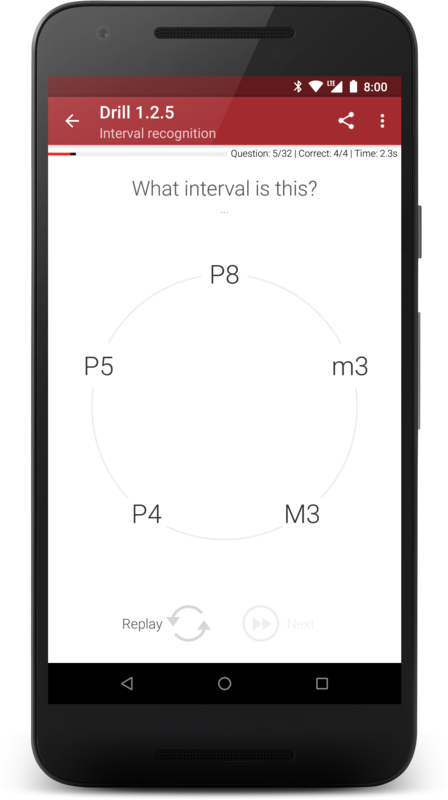 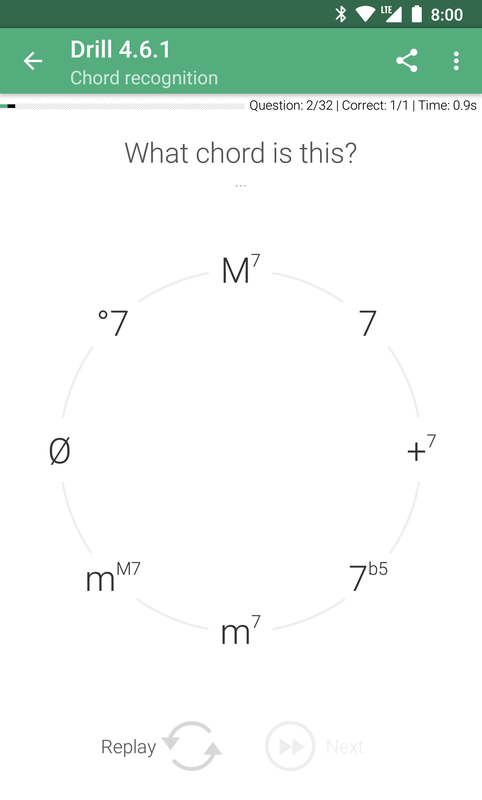 The most comprehensive ear training app you can find on the market. 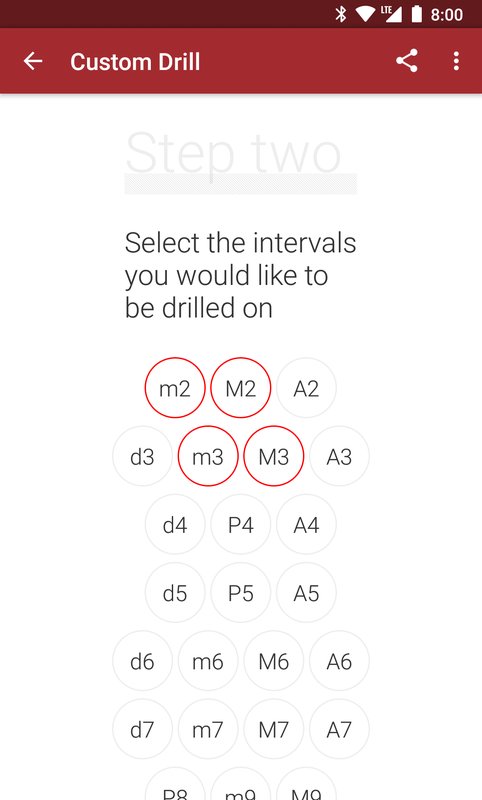 11 drill types, 24 intervals, 36 chord types, chord inversions, 28 scale types, melodic dictations, chord progressions. 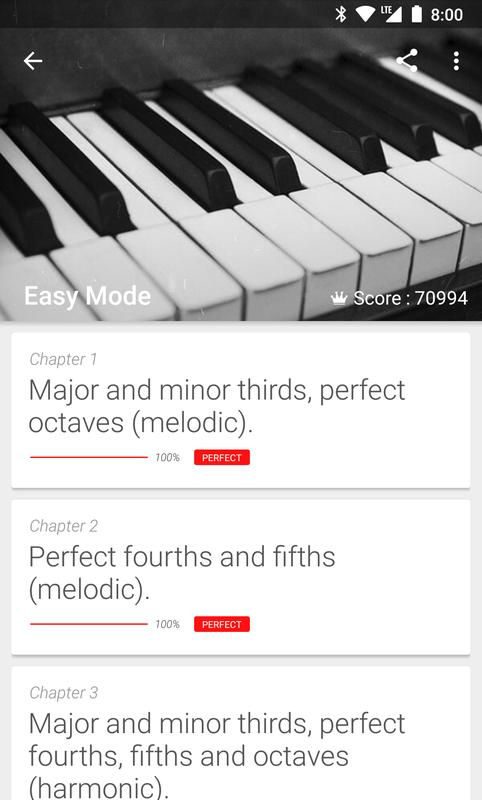 Classic mode for advanced musicians with 150+ progressive drills arranged over 4 levels and 28 chapters. 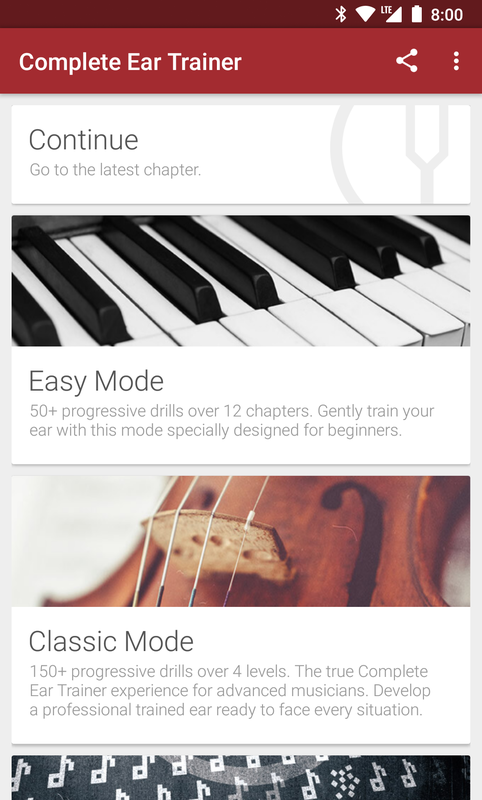 Easy mode especially designed for beginners with 50+ progressive drills arranged over 12 chapters. 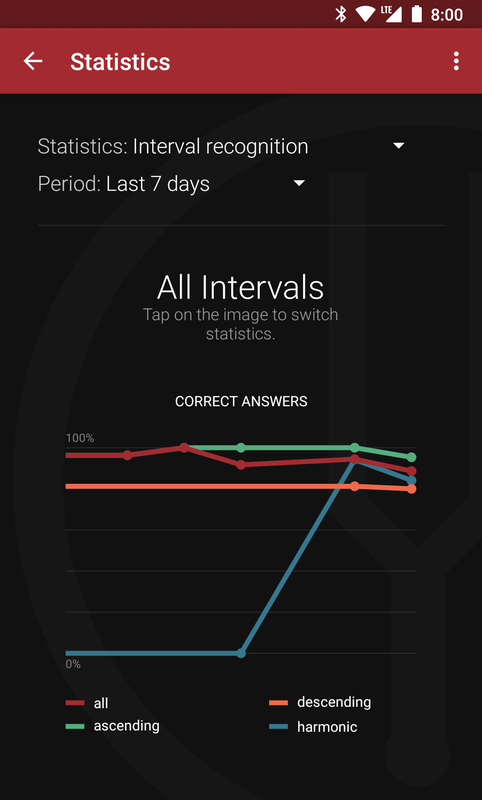 Global statistics to track your progress. 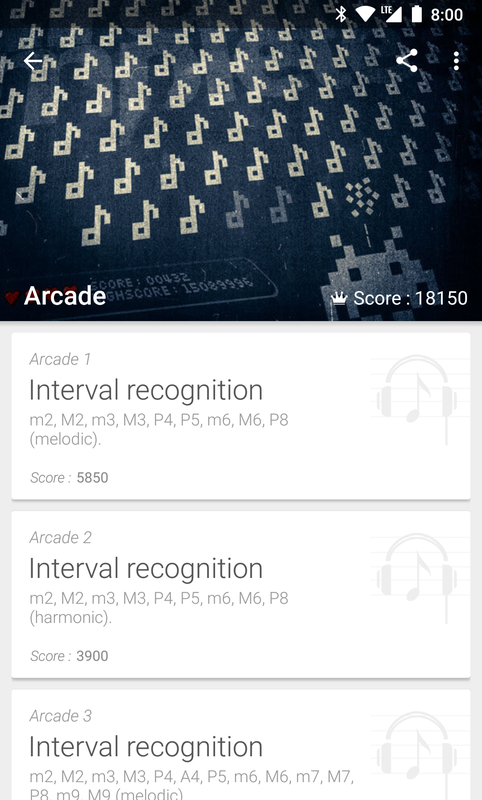 Play a selection of 21 drills in arcade mode. 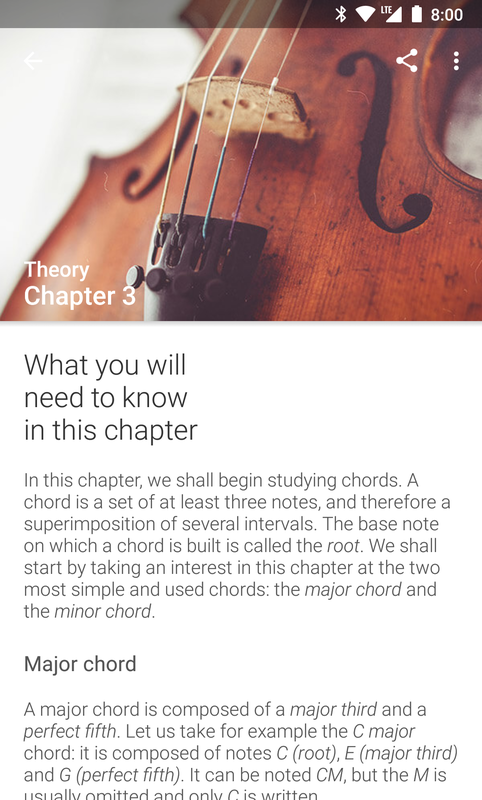 In each chapter, a theory card will introduce you to the concepts you will need to know. 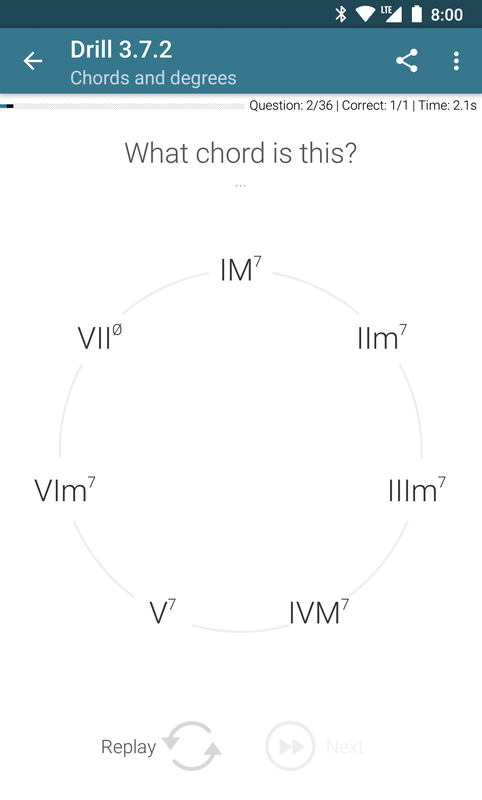 No need to know how to read music on a staff. 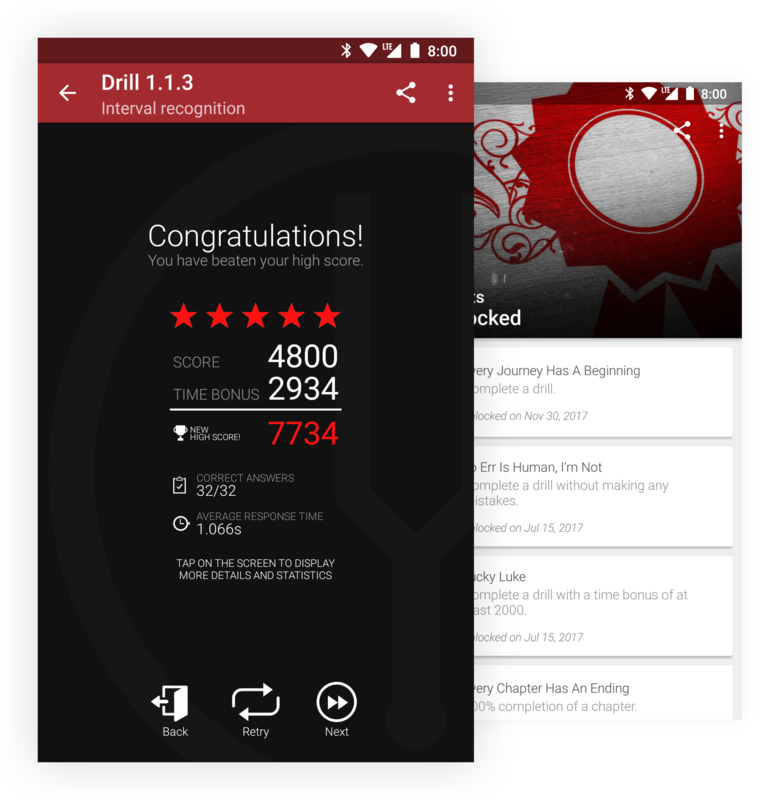 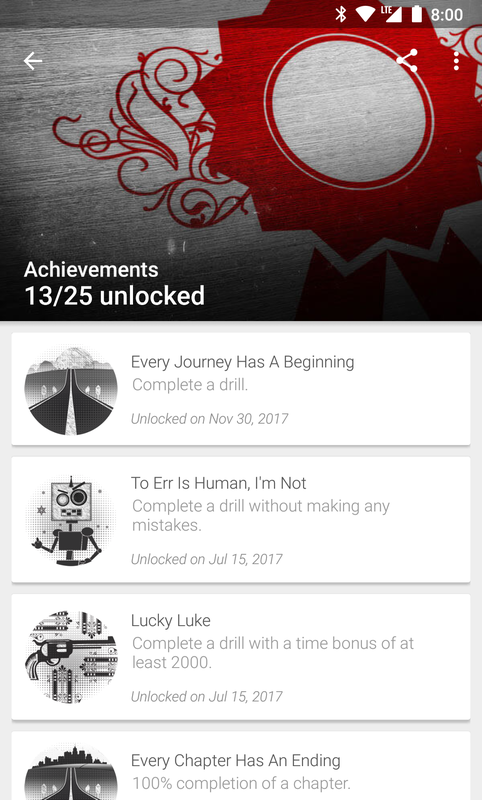 Earn 3 stars in each drill of a chapter to unlock the next one. 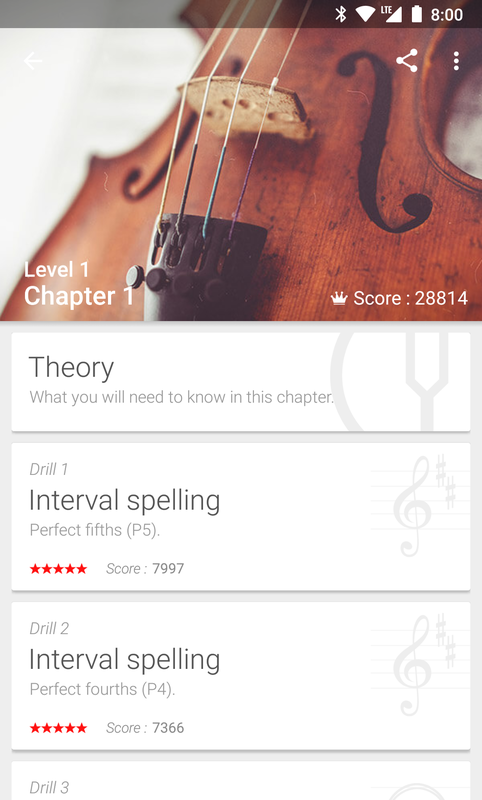 Or will you be able to obtain perfect 5-star scores? 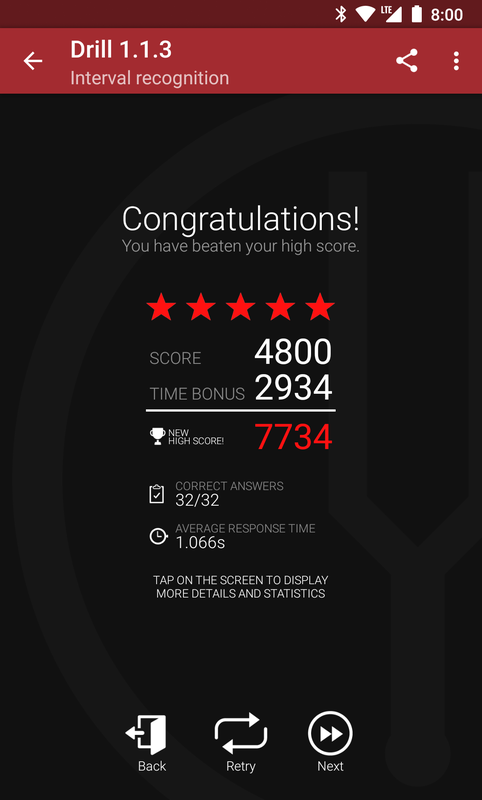 25 achievements to unlock, leaderboards to see how you rank against other players worldwide. 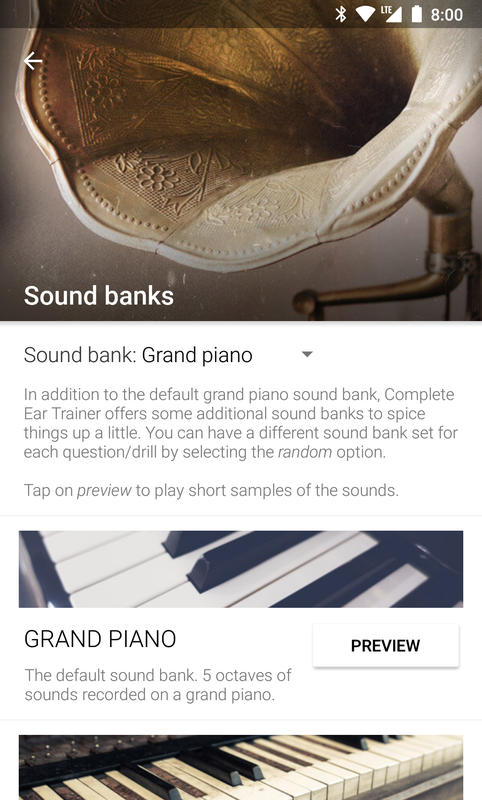 5 octaves of actual recorded grand piano sounds. 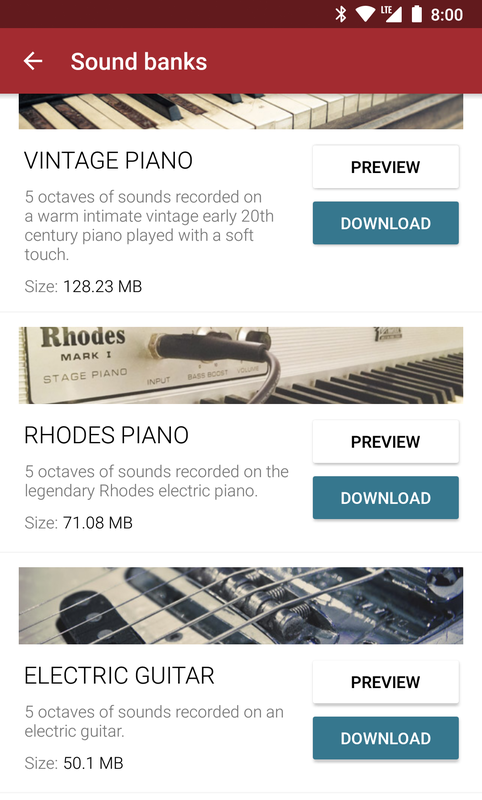 7 additional sound banks are available, all with actual recorded sounds: vintage piano, Rhodes piano, electric guitar, harpsichord, concert harp, strings and pizzicato strings. 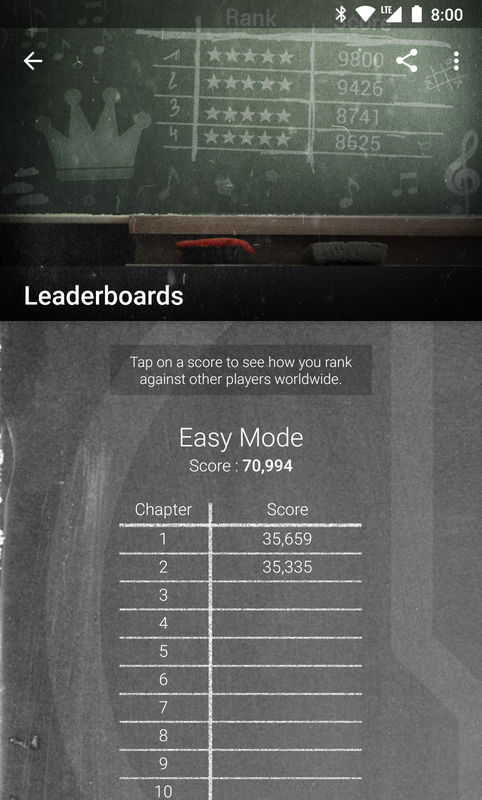 Download the app and try out the first chapter of each mode for free. 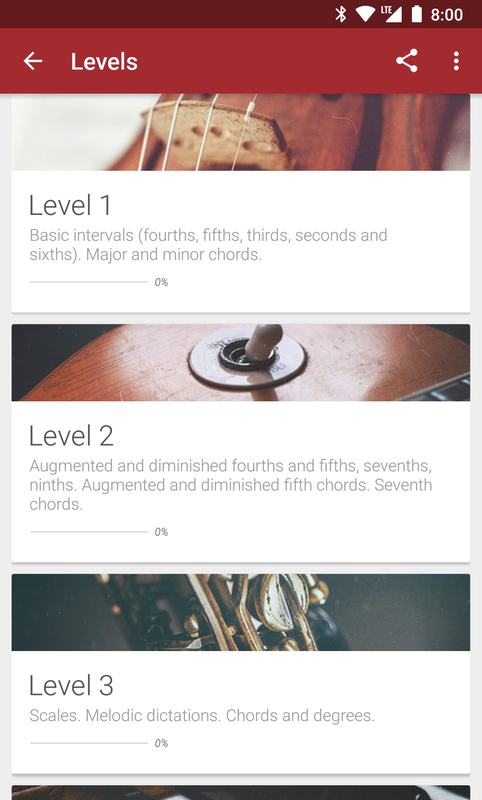 One-time in-app purchase of 3.99 €/$ to unlock the full version forever. 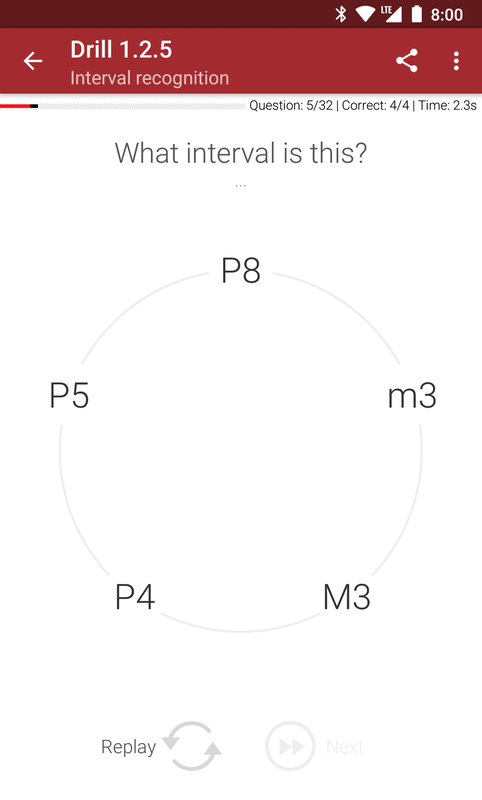 Nice and clean material design user interface. 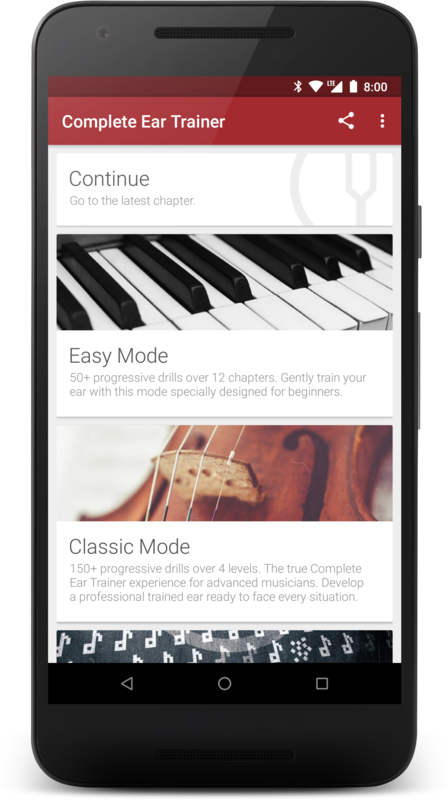 Train your ear without hurting your eyes. 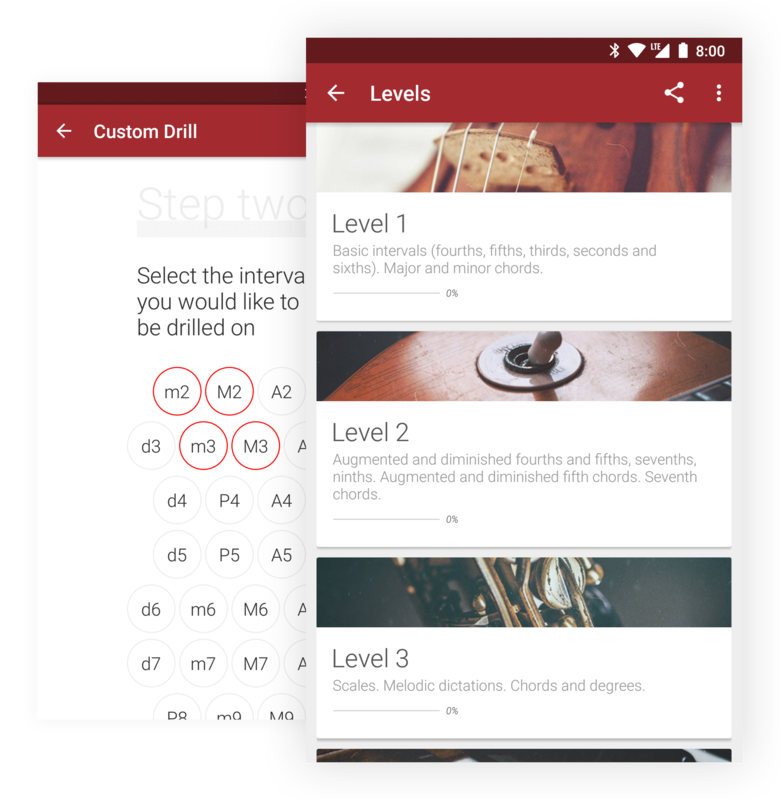 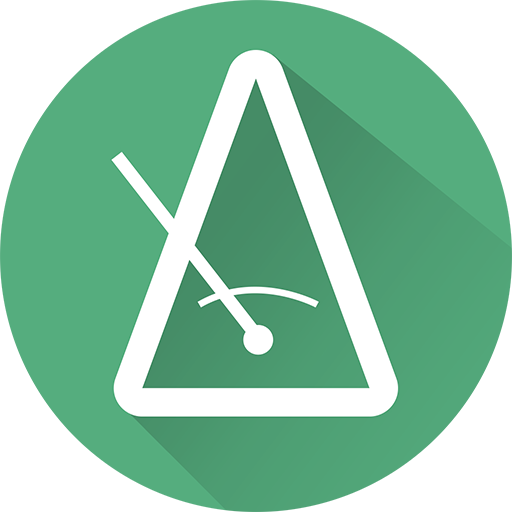 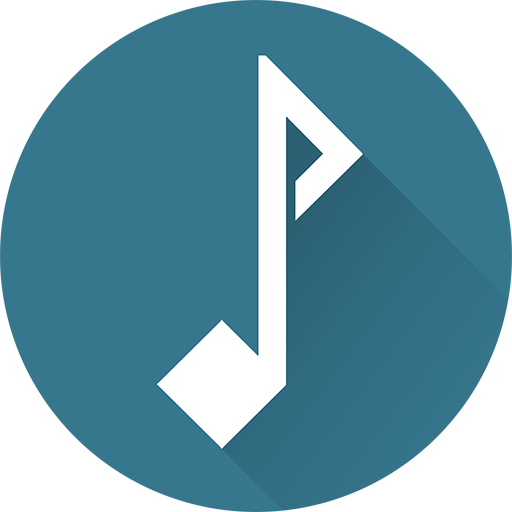 Master rhythm with Complete Rhythm Trainer, or learn to read sheet music with Complete Music Reading Trainer.